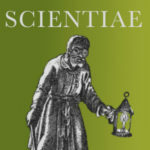 Scientiae is the interdisciplinary conference on intellectual culture, 1400-1800. It is centred on, but not limited to, developments in the early-modern natural sciences. Philosophers, historians, literary scholars and others are invited to share their perspectives on this vital period. This conference at Queen’s University, Belfast 2019 will be our 8th annual meeting. The schedule will include plenary addresses by: Ingrid Rowland (Notre Dame/Rome) & Rob Iliffe (Oxford) and plenary panels led by: Subha Mukherji (Cambridge) & Marco Sgarbi, Pietro Daniel Omodeo, and Craig Martin (Venice). Proposals should be sent to pertransibunt@gmail.com by 30 December 2018. The committee will respond by the end of January. For more details, please see the conference website.